Igloos are cool. 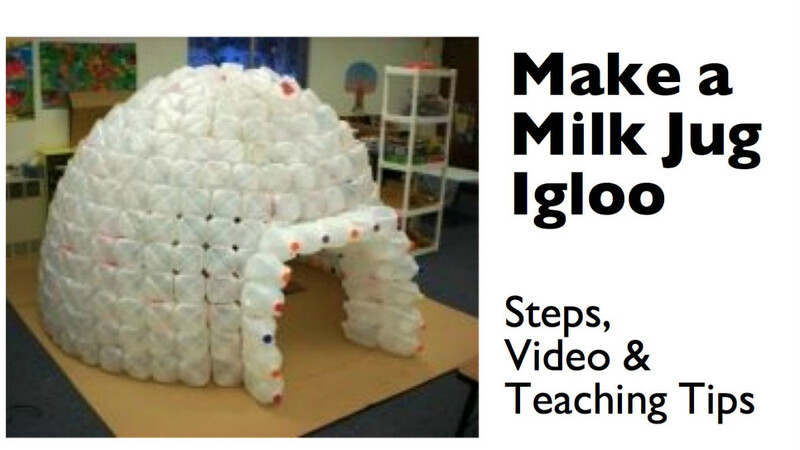 You can easily build an milk jug igloo in your classroom with some planning, lots of milk jugs, and hot glue. For example, children at Midland Christian School in Midland, Michigan built the 428-jug igloo (shown above) after collecting and cleaning milk cartons for about three weeks. This medium-sized igloo is large enough to hold about 8 to 10 kindergardeners or first graders during free reading time—and a principal fits in there too! Total cost: about $12 for 80 glue sticks. The milk jug igloo provides all sorts of opportunities for links to social studies, math, science and reading topics (many of which are listed below). A milk jug igloo is a great project for a classroom, nature center, library, Vacation Bible School, children's museum, daycare center, recycling center, or dozens of other places that seek to inspire children. Watch the following video to get a nice overview of the process. Then check out the sections below for resources to add to your unit on snow, seasons, winter, recycling, or other topics. • LOTS of clean recycled plastic milk jugs, mostly gallon-sized but a few half-gallon jugs will be helpful too. • A cardboard base. This can be made of several big pieces of cardboard taped together. • High heat glue guns and glue sticks. Watch the above video for details! 1. Collect clean plastic milk jugs. 2. Tape together large pieces of cardboard to make a base. 3. Using a nail, string, and a sharpie make a circle on the base as big as your igloo will be. 4. Begin gluing jugs together with handles together. Then glue sets together with back tops touching. 5. Create the outer row with sets of four jugs. Make sure to leave an opening four jugs wide. 6. Add four more rows. Your sixth row will include jugs over the door opening. 7. Move each row in slightly to create a curvature. 8. When you reach the top, use half-gallon jugs to fill the hole. 9. Create an entry way. If you face jugs out you can decorate with colorful tops. We learned some things from our igloo project. If you build one in your classroom (or home! ), making priorities of these steps will make the project much easier. Promote Jug Collection Our milk jug igloo took more than 400 milk jugs. That's a lot of milk! (Or orange juice, or water). We put up posters around our school signed by the children and inserted a notice in the school's print and e-newsletters to get the entire school of 100 studeto help the collection effort. In addition, our teenagers "liberated" milk jugs from recycling bins in various areas of the city on recycling days. A parent helped out by collecting jugs daily from a local coffee shop. It took us three weeks to get all the jugs we needed. Wash Jugs Well You'll want to wash the jugs well as they arrive. Otherwise your classroom will begin to smell pretty bad and you'll be teaching a lesson on microbiology instead of snow. We strung the jugs in groups of 10 and stored them in a corner of the room. Use a Cardboard Base Using a cardboard base will give your igloo stability as you glue the first row down. You can get a large box from your local big box or appliance store on delivery day. A refrigerator box works well. Use High Temperature Hot Glue The Inuit call these structures "iglu," which is appropriate because you'll use lots of hot "glu." We used about 80 long sticks, which cost about $12. A new dual-temperature gun was about $14 on sale, so our total igloo investment was under $25. Because of the dangers of getting burned, the children played a limited role in the actual construction, but there was still plenty for them to do with counting, graphing, making patterns out of the lids, and washing. Collect Extra Caps Most milk jugs we collected didn't come with their lids. You may want to start early collecting caps so that you have enough to make patterns and decorate the final result. It Takes Time We built a few rows a day, mostly after school and on weekends. It took about 12 hours to make our igloo, which easily holds 8-10 first graders. • Snow, winter, seasons, geography, and cultures. 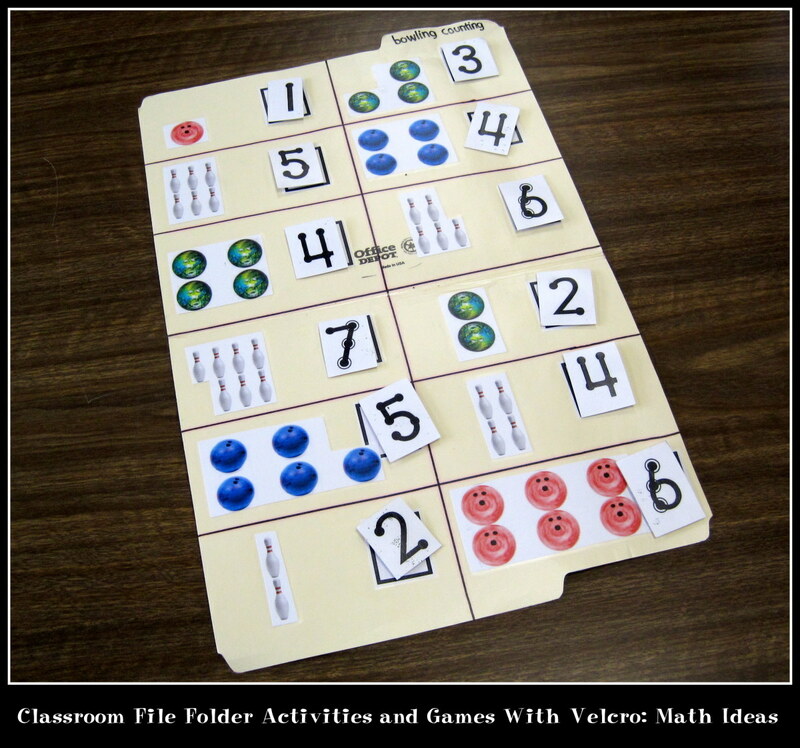 • Math and science (counting, sorting, estimating). • History (Inuit and other Native cultures that build igloos). Pre-plan Your Entire Unit Your igloo will be part of "a complete breakfast." In other words, it will complement the unit that you are teaching, whether it's snow, winter, seasons, geography, cultures, or ecology. The more interesting your unit, the more impact you'll have on achieving your learning objectives. There are all sorts of extra resources listed below. Please add additional ideas in the comments section so everyone can benefit from your good ideas. Emphasize Reading Your completed igloo will be great for a reading nook. 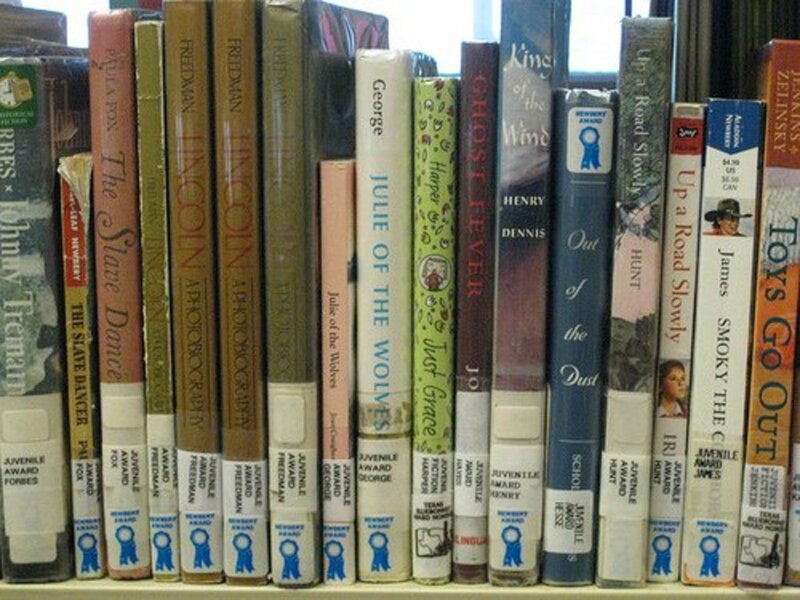 Talk about the kinds of books that relate to your unit. There are some great ideas listed below, including picture books that first graders could read themselves. There's Lots of Opportunity for Math Counting, counting by tens, graphing, estimating, and patterns (with the multi-colored caps). Your class could collect data about which store most families use to buy their milk? A massive, 1600-jug igloo in Burley, Idaho will be large enough to fit a classroom of 35 students inside and may qualify as the world's largest milk jug igloo. Kindergarten class uses milk carton igloo to emphasize reading. The Headley family built a milk jug igloo in their backyard with 227 jugs. It took a lot of time to save milk jugs and they eventually called for help from their homeschool network. Photos of a small, 155-jug igloo from Mrs. Flanagan's kindergarden class. Those last few dots are tricky. They double back. Step-by-step illustrations of how to build a real igloo snow shelter. Of course penguins live at the south pole and polar bears and igloos are at the north pole, but what unit on winter would be complete without reading "Mr. Popper's Penguins?" My wife and I read this book to first-graders, and there are all sorts of helpful tools to integrate this book into your lesson plans and even a CD for an audio reading station. One of the earliest film documentaries was Nanook of the North, made in 1922 by Robert Flaherty. The silent film documented the life of the traditional Inuit in Canada, showing ice fishing, hunting walrus and seal, trapping, building an igloo and trading pelts at a trading post. A short clip of the movie is available on YouTube. Our hero Nanook builds an igloo in this film, runs a dog sled, paddles a kayak, hunts for seal and walrus. A bit mildly risque at one point. Have you built a milk jug igloo? Share your experience! I am trying to do this for a cub scout event and am trying to block space. Can anyone tell me about the diameter I need? I live in Arizona and plan on putting together an igloo. I am afraid it will be too hot for the hot glue to hold. I need any suggestions on what else to use to glue them together. Also i didnt need a cardboard base or an base. Just the string. Brought it home from park successfully. No damage from kids or car. This would be a great shelter for animals. Substitute scrap pieces of rolled linoleum, sealing the seams as best as possible, then layer the floor with straw, wood chips and shredded paper (this should be cleaned out periodically). Fill the bottom row of jugs with sand, to add weight and stability. Covering the entire igloo with a cheap tarp helps keep out the elements and keeps in the warmth. What was the diameter of the base? Great idea! We have built igloos, but not one like this! I am going to share this with my daughter, as her 9-year old daughter's class would really love making one of these igloos. Can use as a green house. this is a great idea would be really great if you would use spay foam on the inside and out to make it last. Fab idea! My grandsons would love this! it's a very great idea, and a very good environmental project on what you can do to help the planet. and to reuse plastic. Wonderful job. That igloo is so cool! Has anyone tried using tacky glue SPRAY instead of a hot glue gun? I believe it would save time and eliminate the need to hold the jugs together for a minute each time you glue. Any thoughts? This is so incredibly awesome! My aunt works with pre-school and kindergarten children and this would be so fun for them, I am going to forward this to her :) thanks! A thoroughly enjoyable visit - thank you. How clever! It teaches lessons on so many levels. It's a great way to recycle and I'm sure gives the kids a big sense of accomplishment. Thanks for sharing. I just LOVE this. Can't imagine how it fitted into the classroom but what a great experience, reading, writing, creating, discussion, give and take, all factored into the making of this. Just fabulous! What a great idea. This would be good for cub scouts. @anonymous: I don't see why one couldn't build an igloo entirely out of half gallon jugs. It would take a lot of them. Would this work with ENTIRELY half gallon jugs? My school goes through about 100 half gallon jugs every week and would be easier to use those as opposed to gallon jugs?? Any insight would be helpful!! Cool. Project. Thanks for posting. I'm sorry your 80 glue sticks cost $12! You need to order form Dickblick.com. Get them by the lb or 5lb, they are cheaper than anywhere on the net. Happy building. I bet the children just love their igloos! Great idea! A great lens! Great ideas!!! I think this would be a great rain shelter for my free range chickens. They don't like the rain. Might make a good dog house too. Super cool! I can't wait to implement this in my classroom! What a fun reading area. Thanks so much! @anonymous: The cardboard came from an appliance box which we obtained from a local big box store. @johnsonwarren: where did you get the giant piece of cardboard to put it on? @anonymous: make sure the milk jugs are super clean and dry...i have made several of these for my classroom, and i leave the lids on to keep the smell away. I just collected over 400 jugs and plan to start building the igloo on Monday for my preschool. The hot glue didn't melt the plastic? @anonymous: The radius was about 50 inches, meaning the diameter of the first cirlce was about 8.3 feet. We used a string and a marker to draw this on the cardboard base. What is the diameter of the first circle laid down? Very cool if you've got the space. @anonymous: The plastic used in these jugs are not UV stable and will begin to breakdown when outside. They will become very brittle and with crumble within a few months. Jayne (Aug 21, 2012): We found that it helped stablize the igloo to attach the bottom to a large sheet of cardboard. If you weigh the lower level so they don't move as you describe, that might serve the same function. LOVE this idea! Do you think it would be possible to do outdoors without it all blowing away/being trashed by the weather? Do you think weighting the lower layer(s) with sand/water would be enough to anchor it?? Our class satrted to build an igloo outside, but the rain and windswept it away. We are now going to make one indoors. We have to use 2L bottles because they don't sell milk in gallons in South Africa. This is the top of the list of BEST school projects. This was seriously a wonderful project. Loved the video. I would build one for my dog! 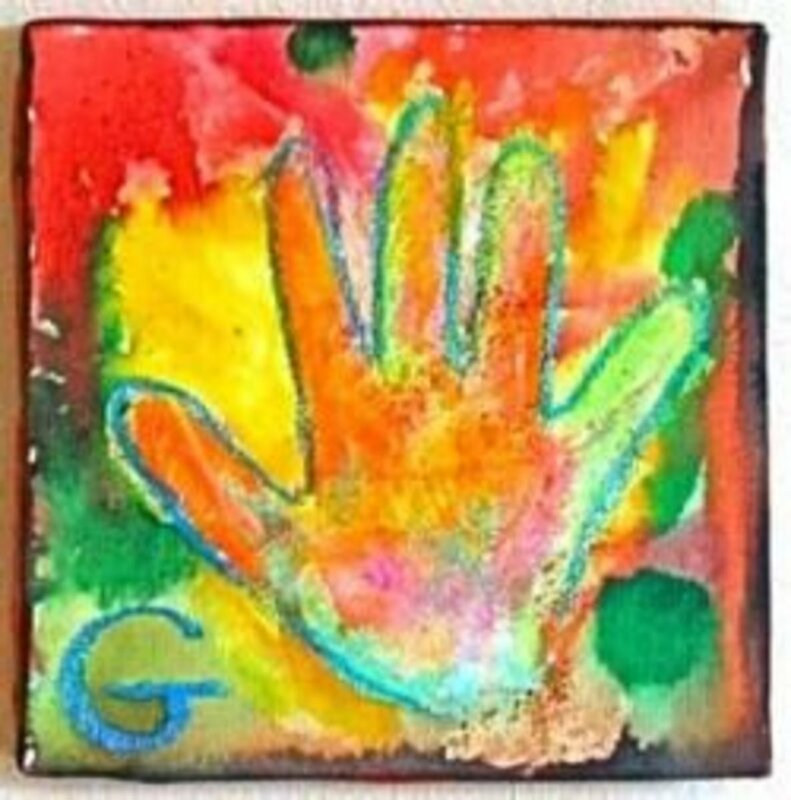 What a fun idea for grandparents and grandchildren as well! And so educational! We've been learning about the Inuits - this could make a fun summer project. I am wondering if anyone has used the small plastic jugs that come with Kool-Aid type drinks in them. It would make an igloo small enough to use for dolls maybe, in a place too small to use the full-size milk jugs. My church did this on a Christmas float. We used them also on bottom of float. We put clear Christmas lights inside of jugs. It looked just like ice. Our theme was Happy Feet. We won 1st place in church division and the Grand Marshall division. Some people come out of the parade and asked what it was made out of. We also had a fishing pond out of jugs also. Santa was going into igloo, all you saw was his rear. I can't figure out how you could make them stack without falling without using glue. I wonder if that's even possible? @johnsonwarren: Thanks. I'll post a picture when I am done. Kids are so excited. @anonymous: There was a natural curvature to the milk jugs when they were placed with the mouth to the inside of the igloo. We may have moved in slightly as we got to the middle and higher rows, but to be honest, it just seemed to work out. I am in the process of creating this igloo which I think is fantastic. Did you move the jugs in about an inch when you placed each row or did they just fall that way? AMAZING!! I love this idea. Many people ask what happened to the milk jug igloo when we were done. We were able to tear it apart, stomp the jugs flat and haul them to the local recycling center. They filled up a minivan, but we got them there. What did you do with the igloo at the end of the year? i enjoyed your lens! my niece and nefew will love to make one time to start saving milk jugs! You have a very resourceful lens. A couple of years ago my kindergarten class built an igloo using 1,000 plastic jugs. We were able to fit the whole class of 24 students and the teacher inside the igloo. I am now building an igloo with my first grade class. They are so excited! This is an activity that I am going to do every year. This is an amazing milk jug igloo! I can hardly wait to share this idea with the teachers in our school. Thank you for sharing such an outstanding idea. I love the concept and the lessons in this milk jug class project to create a reading igloo. Like the cone of silence built from recyclables by group effort. Brilliant! That incorporates a lot of skills, including math and problem solving! Great idea! These igloos look truly amazing! But your milk cartons look bigger than the ones we normally get here in Australia (how do they ever fit in your fridge door??). I guess we'd just need more. 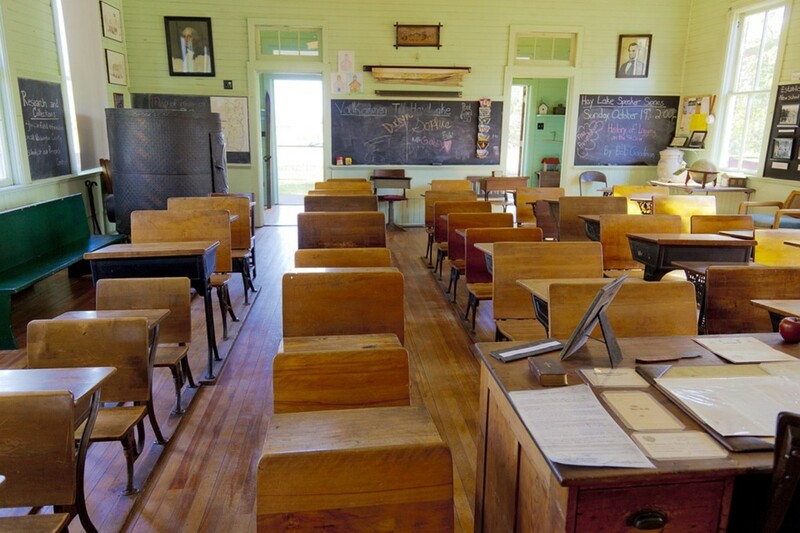 That is a great classroom project -- beneficial to students on so many levels! Great resources for building a milk jug igloo. What an interesting project for a team of kids - building the milk jug igloo incorporates many learning opportunities.